Top US and European institutions push into China and Singapore, as Asian companies innovate and globalize, and seek well-trained talent. European business school EMLYON has partnered with East China Normal University to create a new business education hub in Shanghai — the latest example of western education providers edging into Chinese territory. US and European business schools have been scrambling to launch joint ventures with top Chinese universities. Schools including IESE, MIT Sloan and Duke Fuqua are hoping to capitalize on China’s vast population and economic growth. 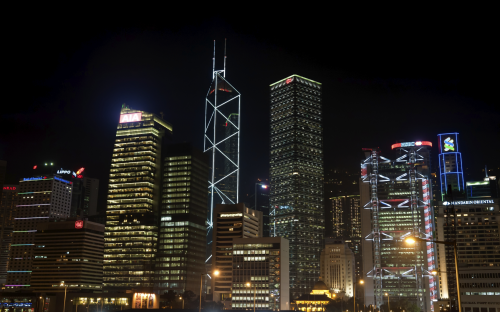 The Asia-Europe Business School will launch in 2016, offering courses including an EMBA and specialized masters programs in quantitative finance, business analytics, and luxury. It will also host an entrepreneurial incubator. Bernard Belletante, EMLYON dean, said the Asia-Europe Business School will be equipped to meet the “critical issue” of a need for entrepreneurship and innovation. EMLYON expects the central Shanghai school to host 1,500 students by 2020, adding to its 500 graduates already working in the Chinese city. A modern silk road has seen investment in education flow between Asia and European nations including the UK, France and Spain. INSEAD, a global business school with roots in France, recently launched a $44 million campus in Singapore. In May, ESSEC Business School also launched a new campus in the city-state, marking a decade long presence in Singapore. Professor Jean-Michel Blanquer, dean and president of ESSEC, said the school is keyed into the “vibrant and growing economies of the Asia Pacific region”. “Singapore is at the crossroads of all socio-economic activities in Asia Pacific,” he said. Singapore has drawn institutions including French school HEC Paris and Yale School of Management of the US, which both offer dual degrees with NUS Business School. “Partnerships allow our students to gain international exposure, which employers value, through overseas student exchanges, student-led study trips, business case competitions and much more,” said Susanna Leong, NUS Business School vice dean of graduate studies. The past two decades have seen clusters of top western schools launch joint programs with Chinese academic institutions, mostly in Beijing, Shanghai and Hong Kong. London Business School joined forces with Fudan University in Shanghai to teach a Global Masters in Management course, spread across China and the UK. “We want our students to have immersive experiences in China,” Julie Dagonet, associate director of China strategy at LBS, told BusinessBecause. Last year, Switzerland's IMD Business School launched an EMBA program with Cheung Kong Graduate School in Beijing. Spain’s ESADE Business School in 2014 announced plans to teach a joint MBA program with Guanghua School of Management that will see students flow between Barcelona and Beijing. ESADE follows other European schools including France’s Audencia Nantes and BI Norwegian Business School. Some business schools expect China to command an increasing portion of the management education market, spurred by demand from business. “As the market becomes more competitive [and] wages increase, and Chinese companies have to innovate and globalize, they are beginning to understand the importance of well-trained talent,” said Roy Chason, assistant director at China Europe International Business School in Shanghai.